2. 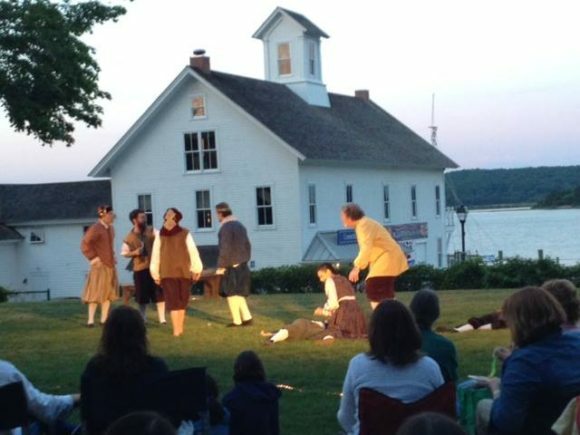 Flock Theatre will bring Shakespeare to life on the Connecticut River Museum lawn with their performance of The Tempest. ESSEX — New London’s Flock Theatre Company returns to the Connecticut River Museum on Saturday, July 29, this time bringing their production of Shakespeare’s classic play The Tempest. This evening of outdoor theater is made possible through the generous support of the Essex Wellness Center. 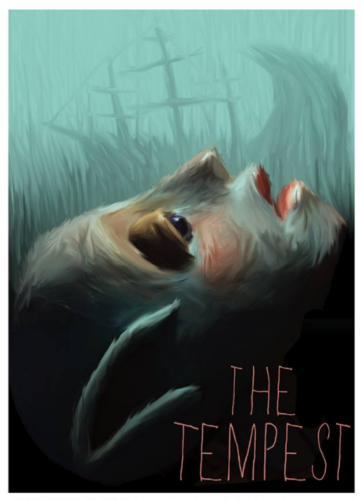 The Tempest is an exciting story set on a remote island, where the sorcerer Prospero, rightful Duke of Milan, plots to restore his daughter Miranda to her rightful place using illusion and skillful manipulation. A tempest, shipwreck, marooning, and redemption are all twisted into this classically inspired storyline. The Tempest, a story of shipwreck and magic, is one of Shakespeare’s most musical plays and will be the featured performance for Theater Along the River this July 29 at the Connecticut River Museum. Art by Flock Theatre. The Museum’s grounds will open at 6 PM for picnickers to layout blankets and chairs. Museum staff encourage the audience to make the picnic part of the experience. In fact, there will be a special prize awarded to the “best” picnic arrangement. Tickets are $18 for the general public, $12 for museum members, and $10 for children (12 and under). A cash bar serving beer and wine will be available for theatergoers. No carry-in alcohol is permitted. Tickets may be bought at www.ctrivermuseum.org or at the door starting at 6 PM the night of the performance. Curtain opens at 7 PM. Flock Theatre is a professional, not-for-profit theatre company founded in 1989. The theater company is dedicated to creating original, collaborative and educational theater. Perhaps best known for their long-standing summer Shakespeare in the Arboretum, Flock Theatre performs year-round in a variety of venues, including their winter “nest” at the First Congregational Church, on the New London Pier, at the historic Shaw Mansion Museum and throughout New England. Essex Wellness Center offers a range of holistic-minded health services, including, Fitness on the Water, a beautiful, private workout studio. The Essex Wellness Center experience is focused solely on you and the achievement of your goals, physically, mentally and emotionally. For more information on the program, contact the Connecticut River Museum at 860.767.8269 or visit the website, ctrivermuseum.org. The Connecticut River Museum is dedicated to the study, preservation and celebration of the cultural and natural heritage of the Connecticut River and its Valley. Explore the three floors of exhibits, take a sail on the Onrust or rent a canoe, kayak or SUP to paddle the coves of Essex when you visit. The Connecticut River Museum is located at 67 Main Street, Essex and is open daily from 10:00 am – 5:00 pm.